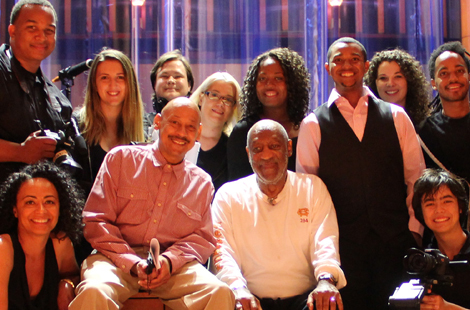 Comedian Bill Cosby and director Robert Townsend worked with CSUN film students to capture the behind-the-scenes footage for the new Comedy Central special “Bill Cosby: Far From Finished,” which aired recently. Read more about the project. During her nine-day trip to China, CSUN President Dianne F. Harrison met with educational and business leaders in five cities, renewed partnership agreements and engaged a growing alumni base in the country. Read more about the visit. Equipped with smartphones and tablets, graduate journalism students participated in a global project with students at universities in India, Taiwan and the UK to report on poverty in each country. Thu., Dec. 5, 7 p.m.
President Dianne F. Harrison and the cabinet invite you and a guest to CSUN’s holiday party to celebrate the good work of our faculty and staff. Please RSVP. Read the December 2013 Issue of HR News for updates including information about benefits, payroll and compensation. The President’s Office, the Oviatt Library, the China Institute and the College of Humanities invite you to meet the ambassador at a CSUN-China Forum and book donation ceremony.